Stretching six miles north along Lake Huron from Rogers City, Huron-Sunrise is one of northern Michigan’s most beautiful trails. There are many good trailheads along the lakeshore in Rogers City. Currently the trail ends at the Forty Mile Point Lighthouse, a distance of eight miles from Rogers City. 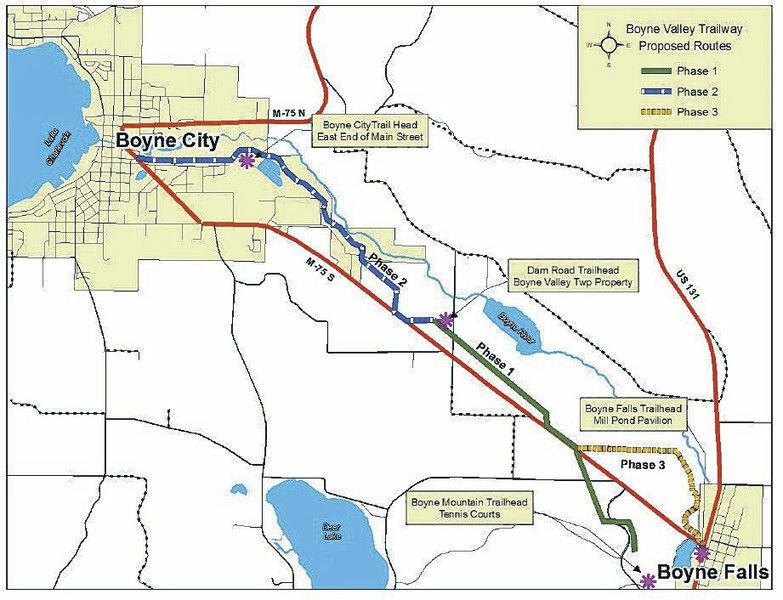 To the southeast, the long-term goal is to find a way through the Michigan Limestone Operations quarry to a railroad right of way called the Rogers City Spur and a link to the Alpena to Mackinaw City Trail (North Eastern State Trail). 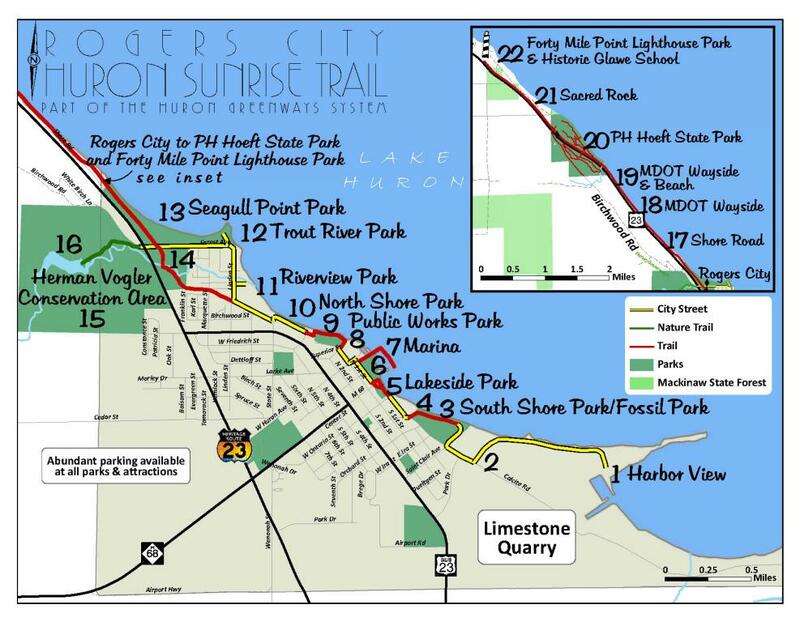 The Huron Sunrise Trail has many amenities in town, in Hoeft State Park and at Forty Mile Point. On the north side of town is the Vogler Conservation Area, a 270 acre forested property that includes several more miles of trails for hiking and mountain biking. 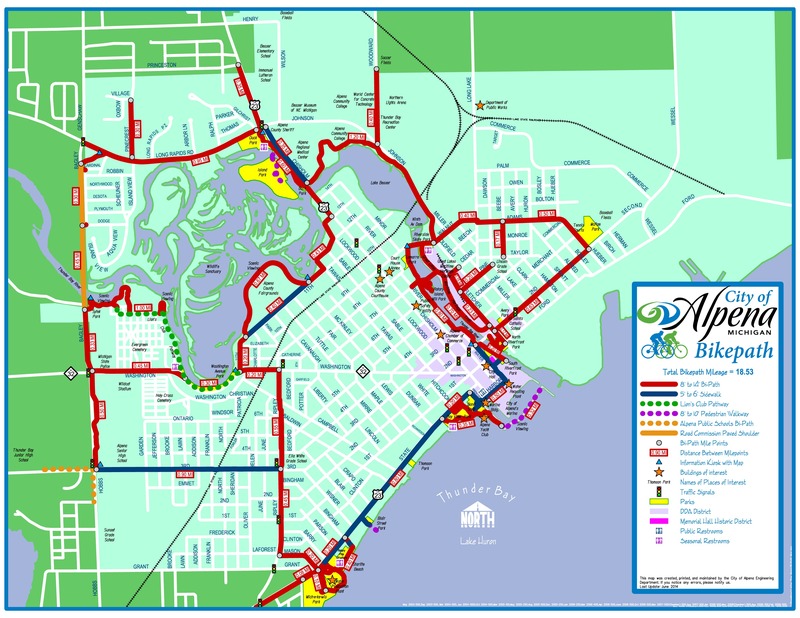 South Shore Park East to Harbor View (TPR): To the southeast travelers can generally (in season and in daylight) use Harbor View road to HARBOR VIEW where there is an observation area to see the world’s largest open pit limestone quarry in operation. The plant’s crusher, conveyor, and stockpiles are all visible from this vantage point and sometimes Great Lakes freighters can be seen loading limestone from the Port of Calcite for shipment throughout the lakes. SOUTH SHORE PARK is a popular downtown park for swimming, beachcombing, and canoe and kayak launching and the east end includes four softball and Little League Baseball diamonds. South Shore Park to Lakeside Park (TPR): The park and marina include the city’s most popular beach, picnicking facilities, beach volleyball, a band shell for summer concerts, and the Sailors’ Memorial that honors local men who perished in shipwrecks on the Great Lakes. Also in the park is the Pavilion Grill for light refreshments. Lakeside Park to Rogers City Marina (PRA): Right next to the park is the marina that hosts up to 145 boats and is an excellent place to stroll, especially on the breakwater. You can also try your luck fishing for Rogers City’s famous salmon from the fishing platform. Rogers City Marina to Seagull Point Park (PRA): This segment wraps around Public Works Park, then goes past the informal North Shore Park toward Seagull Point. From Linden Street you can take Riverview Street to a neat little park where the Trout River rushes into Lake Huron. As you continue across Linden St, past the Department of Public Works facility, the trail winds along the Trout River after passing a beautiful stretch of wild flowers planted by community volunteers. Be sure to take a moment to identify your favorites. As you wind through the woods you’ll see nesting boxes provided by the local Boy Scouts. Seagull Point Park to the Herman Vogler Conservation Area (PR): Seagull Point is a favorite place to watch the sunsets. 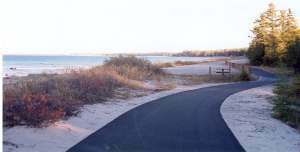 The park features an extensive network of nature trails, a mile of unspoiled beach, low dunes and woodlands, and a nice view of the shoreline back to Rogers City and beyond. The trail follows the banks of the Trout River upstream through Trout River Park to Highway 23, which you must cross to enter the Vogler Conservation Area. This beautiful area has excellent trails on which to explore the 270 acres of meadows and woodlands. There are many good places to stop in the area but the designated trailhead is the Pond Overlook that offers a pleasant view of the dam and impoundment of the river. 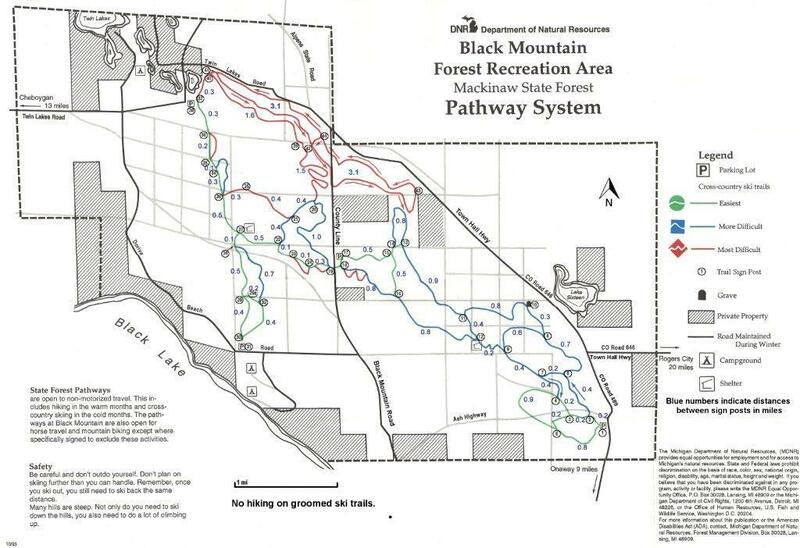 Herman Vogler Conservation Area to Hoeft State Park (TPR): Back on the main trail across Highway 23, you continue northeast right along the shore. This is the longest and perhaps the most scenically striking of the segments. A new connector segment to the park’s amenities was completed in 2005. The park is perhaps somewhat underused but has one of the state’s nicest beaches. Hoeft State Park to Forty Mile Point (TPR): This segment is mostly along US 23 with several short diversions through the woods.